It is very important to understand your lineage for genes pass down to many many generations. 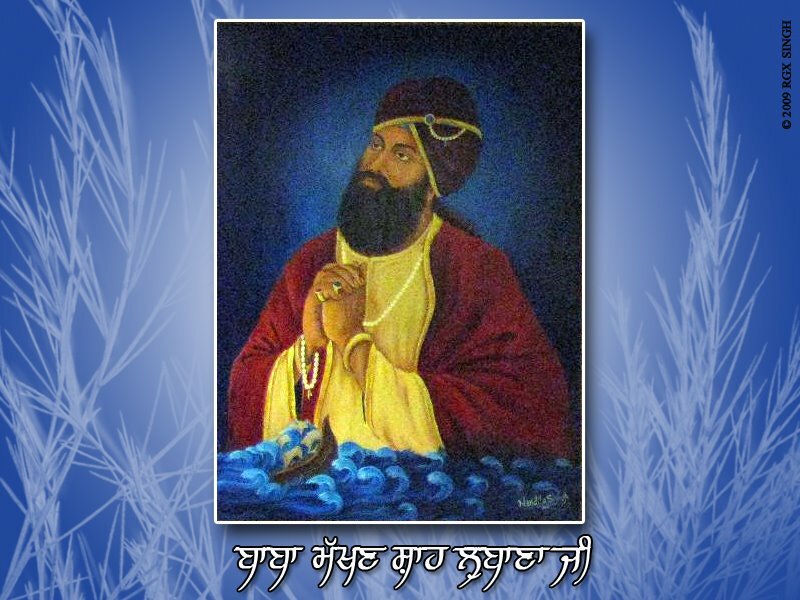 It is equally hearting to know that Lubanas were from lineage of great traders who had exceptional business acumen, dedicated Sikhs who always remain in sharan of the Great Sikh Gurus, were great warriors and remained in the fore front for any type of sacrifice and also remained in the service of the Gurus throughout the course of the history. There were many lubana Sikhs in the army of Maharaja Ranjit Singh. Many of them were on coveted positions like generals. During reign of Maharajah Ranjit Singh they were allotted agricultural land and since then they took to farming particularly in Gujranwala Sialkot districts of undivided Punjab. After partition in 1947 many lubana families suffered a lot when they had to leave every of their possessions in Pakistan and move to divided India and divided Punjab. Many suffered in financially because land they got in exchange was much less and was of lower fertility. Sant Prem Singh wanted to help lubana community which had suffered huge losses by getting it included in OBC. I know many people criticise his great effort. You take a stock of current situation in the country many castes including jatts in Haryana Rajasthan and many other states are holding agitations to get OBC status. That again shows great long term vision of our ancestors. It is not much important whether we want to remain OBC or not as most of the lubanas have regained their past glory of Baba Makhan Shah era. Strategically I don’t find any problem if some of our brethren who were not able to make by now take advantage of it and reach to higher level of prosperity. Waheguru ji da Khalsa Waheguru ji di Fateh. Lubana mainly latavia and Indonesia ton ne !! Te ihna da old religion islam c te ihh peer di pooja krde c !! baba makhn shah g da jnm v india te Pakistan ton bahar di kisi country da hai !! Baba makhn shah Europe ton india wapaar krn lyi aaye c !! Te baad ch sikhi adopt kiti !! Bajigar lubane nhi hai !! I am Dr. Amanpreet Singh Lubana. I am an ophthalmologist (eye specialist). I am from hoshiarpur city. I feel proud to be a part of this wonderful community. Yes brother, Naiks all over india are lubanas. I mean we are big community thru out india and Pakistan and may be in many other ancient countries since lubanas is an ancient race. My sir name is pelia from punjab but it is pronounced palia in Maharashtra or sindh. That is why my sir name is now spelled as Palia. In fact my dad was in IAF and a naik from maharashtra who was clerk in the reqruitment office spelled my dad’s last name as Palia because he thought that was the correct pronunciation. Rakesh ji i am AJS Palia. I also once worked with eicher tractor at parwanoo and also visited pithampur plant near indore when the plant was newly set up for manufacturing Mitsubishi LCVs. Now i am in Toronto. I was in IT with eicher. Lubanas is a very vastly spread community around the globe. We were once an extremely mobile people and hence spread throughout the world. An extensive study need to be accomplished on lubanas. Bro , jehra sala bura smjh da smjhan de , asi tan gurdaspur ch hik tan k kahi da lubane aa !! Baki change marhe bnde hrek community ch hunde ne !! J koi ik sunada tan osnu 10 sunawo !! Waheguru chardi kalla ch rakhe. Hlo I’m Amandeep Singh Ghotra (lubana) from Durg (Chattisgarh). I’m proud to be a lubana. I am a rtd.pb.govt.officer.Presently lives in Amritsar.I am proud to be a LUBANA. Hi, I am Balwinderjeet Singh and proud to belong to such a Wondeful community.Rest, Good bad people are all around.One just needs to be good, and u don’t have to prove it. My name is Anoopjeet Singh Palia, my email is ajspalia@yahoo.co.uk. I live in Canada. You can send email and then probably we can share phone contact to talk more about Lubanas. Rakesh Nayak here from Indore, Me assistant manager Volvo eicher(truck manufacturing company). I am also from labana community & I belongs from distict Jhabua(MP) from village called rambhapur. Proud to read on lubana families and development , it is fact ,it is race of sacrifice and brave origin in medival in northern part. Tree of Lakhi saah banjara. We are from banjara Community (laman,lambada,) of Maharashtra, Karnataka, Telangana practicing majority Hinduism & Followers of Guru Govind Singh , migrated towards South part in between 13 to 15 century. Community, lost it’s glory in British Raj period as forced under act of Criminal tribes intensily , and after post Independence , slowly picking up development . Hi , my name is Pankaj Kumar Palia and I from distt. Mandi, Himachal Pradesh. I am working in national insurance company ltd. I proud to be Labana. One thing I want to say, we are the descendants of king lav son of Lord Rama. We are rajput. Kindly share your views in it. I am karnail singh munder, a lubana Sikh,at present in UK. Our ancestors were from TANDA ,Distt GUJRAT,PAKISTAN who later shifted to MIANI in HOSHIARPUR in 1947. Rakesh Nayak here from Indore, Me assistant manager Volvo eicher(truck manufacturing company). I am also from labana community & I belongs from distict Jhabua(MP) from village called rambhapur. village about which you are talking is in Dahod district of Gujarat state. 👉 Lubana da orgin Muslim kaum nal jorda wa na k hindu nal !! Pr hun tan sare sikh hi aa !! 👉 Lubana naam diya city Europe latavia te Indonesia ch v ne !! 👉Baba makhn shah da jnm v india da nhi hai !! 👉oh v angreja di tra , Europe ton India business krn aaye c !! 👉17 centruy ch ohna de business da 10 percent 500 gold coins c , ohna da apna samundri ship c !! 👉baki na tan lubane , banjare ja hor koi aa caste aa !! I am Harpret SIngh Lubana from toronto, Canada And i am proud to be a Lubana. Name and fame depends on the population and how much political back you have for eg in Punjab jatts are in majority also they hold maximum lands , they control over administration and have good sound political force and they are promoting there own people. simmilarly as in Rajasthan rajputs have dominance. So we are in minority in a way comparatively negligible. As we have no or very little political say i.e we have only one representative and this time she lost yes I am talking about Bibi jagir Kaur and again now she has become puppet in badals hand for our community vote. Putting there surnames and also in gurudwaras all Karam kands are been followed and SGPC is merely a spectator. We are marching back to bramanwad same to say as jattwad is introduced and it is a strategy to make one community think that they are more superior than others as it’s going in Punjab today and jatts are happily accepted this idea. I don’t know who is maintaining this site but what you have mentioned is history of labanas few hundred years ago but what before that . What were they before that and no body can deny the fact that you were rajputs even I have some rajputs friends whom I can associate very easily.yours are the suryavanshi lineage. even this you can check on labanasamaj.com whom recently called Bibi jagir Kaur and you can check pics by going on the same site .there you can check your clans history also like ajrawat,pelia but you won’t find all clans and as I can reckon as originals clans we’re changed in course of time. I know we are very proud people that’s because we have same royal rajputs blood running in our veins ,you can’t part from them and they accept this thing, only we have to bridge a little gap. I say we must also revert back to our roots ,as Sikhism is the thing of past and it’s been corrupted fully. I personally knew some Hindu labana friends and they call that there ancestors are rajputs. Rajputs are well known ,they are everywhere,they have good political representation. You are unpopular because you are few. Its time to think wisely.I am sure jatts are looking to spread beyond the boundaries i.e haryana, Rajasthan .so we need to know that it’s all carefully thought planned strategy. Further more Punjab has lost it’s all reputation.now people all over world know that it’s youth is addicted, jatt farmers are committing suicide, farmers debts, unemployment,it has lost all it’s shine to the extent that it is not considered as brave as it used to be. We should think in broader sense . don’t say that we are upper or they lower infact Sikhism considers everyone equal. I am Ranjit Ghotra living in USA. I am good to be Lobana. It is a community of respected people.